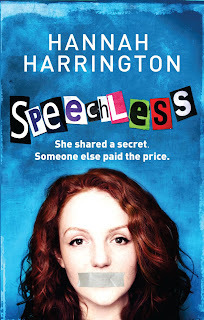 As part of the Speechless blog tour, I am pleased to welcome author Hannah Harrington on to the blog. What provided your inspiration for Speechless? I had this thought about someone taking an oath of silence. And then I started thinking about why someone would do that, and the type of person who would have the most challenging time dealing with being unable to speak—a teenage gossip queen seemed like the obvious answer! The story really built itself around that one idea. Was it important to you to tackle the issue of bullying? Bullying is a major issue in our schools today, one that recently is fortunately getting more attention. It’s something most teenagers face in one shape or another—either as the bullies, the bullied, or the observers. Speechless features characters who fit into all of these categories. A lot of high school is about finding out who you are, and that’s difficult enough without other people trying to tear you down. Chelsea has to deal with a lot of that, and at the same time with consequences for her own selfish behavior. She does a lot of growing up over the course of the novel, and by the end of it she isn’t perfect, but she’s learned that while it’s hard to stand up for what is right, at the end of the day you only answer to yourself. I hope that people take away from Speechless that silence has just as much power as words do. I don’t really have a typical writing day. Sometimes I’ll write a few thousand words, sometimes it’s only a few hundred. Sometimes nothing at all. I try to go with the flow on that! What you are working on now/next? I am working on a third novel. It’s too early to go into detail about it, but it will be another contemporary young adult! 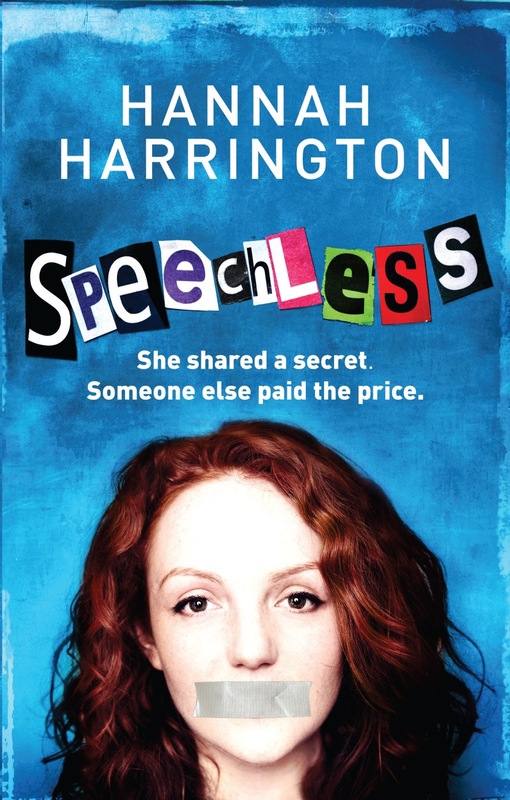 Hannah Harrington’s debut novel Saving June was published in 2012 by Mira Ink, and her second novel, Speechless, is out now! Visit www.hannahharrington.com for more. Hannah Harrington is a 25-year-old born and bred Michigander. She grew up in the town of East Grand Rapids before later moving to the Lansing area, where she currently resides with three cats and a black labrador, all of whom are named after famous musicians. She wrote her first book at age nine, a stunning, forty-page Call of the Wild/Black Beauty ripoff ode to her dead dog. She later attempted her second at fourteen (by longhand), but failed miserably. She got the idea for Saving June during the summer after high school, while living out of her car and working as a pizza cook. It wasn't until she was twenty-one that she decided to write a story around the scenes she'd scribbled into a notebook years before. Saving June, Hannah's first novel, was published by Harlequin Teen in 2011. Her next novel, Speechless, will be released in the US on August 28th, 2012. When she isn't busy writing like a crazy person, Hannah enjoys horseback riding, arguing about politics, watching documentaries, playing guitar (very badly), and speaking about herself in the third person. I as well am an aspiring blog blogger but I'm still new to the whole thing. Do you have any helpful hints for rookie blog writers? I'd certainly appreciate it.